Meet Eva, a Teen Advisory Board member from Pepperell High School in Lindale, Georgia. The Schuyler Sisters from Hamilton: An American Musical; Sing by Pentatonix, and You Broke Up With Me by Walker Hayes. In five words or less, describe yourself. My mom, my best friend, my teachers, my teammates, and my coaches. Volleyball, Reading, Volleyball, Listening to Music, Volleyball, Baking, and did I mention Volleyball? Going into my junior year of college with a full volleyball scholarship. If you could do anything in the world or go anywhere, what/where would it be? I would want to go to London, England because I would like to see Harry Potter and the Cursed Child. If you could change one thing about the way your friends drive or ride in the car, what would it be? I would like my friends to stop racing down our streets and start paying more attention to the road and less to their phones and their friends in the car. Why are you involved in Teens in the Driver Seat®? 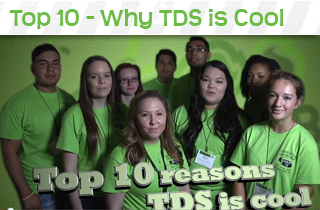 I am involved in TDS to try and make a difference in my community. There have been too many teen car crashes in the past years and I am dying to correct that.